Navy Federal Credit Union is the credit union for Department of Defense civil employees, members of all branches of military and their extended families. There are 223 locations and over 5 million members. Assets in 2015 were reported as over US 73 billion. Headquarters are near Vienna, Virginia. Due to the nature of military personnel in every time zone you will find these three contact centers opened 24/7: Vienna, VA, Winchester, VA and Pensacola, FL. If you have a problem with service, call 1-888-842-6328. Find contact phone numbers here. If you would like to send a postal correspondence to CEO Cutler Dawson, address your envelope with Navy Federal, P.O. Box 3000, Merrifield, VA 22119-3000. Founded in 1933 Navy Federal has consistently ranked in the Fortune 500 Best Places to Work List. Social presence may be found on Facebook, LinkedIn and Twitter. I have had a credit card with navy federal over a year. I call in each month prior to the 6th to make my payment. On March 2nd I called in to make my March payment and was told I had a pass due amount which i should not have. I proceeded to make the pass due amount because Navy Federal would not correct their error as well as my March payment. I paid a total of $600 to make pass due and current payment. I call today to make my April payment all to be told by Ms. Smith which said she was a supervisor that she see where i made the $600 but it was not for my March payment. I argued with her for almost 1 year asking why was my payment not made and she stated they put the money on the overall balance. After explaining to her to pull the call several times to see i made my payment she only grew angrier and refuse she told me at this time there was nothing more she could do sense I seem to not understand. I told her I would be filing a complaint everyday as well as following up with the banking commission. Navy federal has made several mistakes on my account between my auto loan and my credit card. This is a horrible bank to get a loan or credit card from. I have been bounced from one representative to the next, I lost count after nine. The first representative I dealt with when I originally made my fraud claim for almost 600$ did NOT submit the entire amount. She only submitted the two consecutive charges. I have yet to receive back four hundred and something dollars. And no manager that was asked to do their job and find a solution could do so. I’ve never had any issues with Navy Federal in the past but maybe I need to start looking for a new bank. I set up an IRA rollover from one company to NFCU, on January 24, 2019. The transfer amount of funds to be transferred to NFCU such have completed by now. It has been over three weeks and growing. But the funds have not been deposited into my IRA certificated saving account. As of today, I don't have any idea where my money is. I have been in the bank on several occasion and I have spoken to the staff members about this matter. And they keep saying, that the check is in the mail. This is becoming very alarming to be. First of all how long does it take to transfer funds by mail or to fax them to the branch? I'm in need of your assistance? I was debited $1043 on 12/17 for a charge off account. This account I was told by a representative back in 4/18 that I was being set up with a payment arrangement. Navy Federal could easily review the tapes but took no ownership for their part in the misunderstanding. I was unable to pay my rent and received a 14-Day Notice to Quit as a result. At that time I set up a payment arrangement for 12/28 for $150. Today mobile banking was down for several hours and when it came back up I realized the same department debited my entire paycheck of $1867. I now cannot pay rent again and have to wait the weekend, with two small children to speak to a department that just did the same thing 11 days ago. I am prepared to close my accounts and proceed with legal action. It is absolutely unacceptable to leave me destitute again to satisfy a payment for a charge off when I have already made a payment arrangement. If I do have to wait the weekend I will be assembling what I have to for legal recourse. My complaint in detail is that I recently had exempt funds $2840.00 taken from my account and disbursed to Child Support in Fresno Ca. I contacted Navy Federal to ask about a hold that was placed on my account. The complaint was investigated by a Navy Federal employee, in which they noted that it was funds deposited by Department of Education (FASFA). Federal Student Aid cannot be garnished for child support. Per Federal Policy. I have paperwork to prove my complaint is valid. I've spoke with some last week but they blew me off. Thank you. Have banked with Wells Fargo since 2004 (about 12 years). Before that I was at Navy Federal and had a great experience. Now I am learning I should have gone back. Have had checking, savings, credit card and auto loan. Never had any real issues until recently when I decided to pay off my auto loan in full. Went into the branch and was told I actually owed almost another thousand dollars in late fees on top of my principle balance; $861 to be exact. They said its 22 months worth of late fees that I was never aware of. My credit is still great as I have never been 30 days late. Back in 2015 I had called customer service to set up automatic payments on my car loan. Month went by and it did not auto withdraw as I was told was all good to go. Called them and they said that it would be next billing cycle. Still hadn't automatically withdrew. So from there on out I just paid it every month on the 6th when payday occurs and bill due date is 16th. So I was paying almost 10 days early right? Wrong. Ever since I tried setting up automatic payments it ended up starting the cycle of about 20 days past due which accrues a $39 late fee, but does not count towards a 30 day lateness on your credit. So for almost 2 years I've been paying and accruing all these late charges. Asked why I wasn't called and was told I was placed on the do not dial list. Never did I want that. Never did I receive a phone call about lateness nor an email stating I was late. Finally they agreed to take off two late charges equalling $78. Are you kidding me out of $861. Then called and complained that it was totally unacceptable and they approved $250 to be taken off. Now it sits with the executive complaints department. Little do they know I have a screenshot of 2 checking accounts opened without my consent and a phone bill with my call to wells fargo in 2015 to set up automatic payments. If they do not take care of this issue I will be taking this to the next step legally and dropping all of my accounts and going back to Navy Federal. Great bank, no complaints about Navy Federal. But I wish they were open to the general public. We all deserve the same service. Being a Naval official, I will be full time busy on port for all emergencies. I found it difficult to do my online financial transactions to support my family when I am away from home. My department has come out with an absolute solution for all the employees suggesting banking with Navy Federal Credit Union. Hats off to the absolute services and wonderful products made available for my monetary transactions and savings. 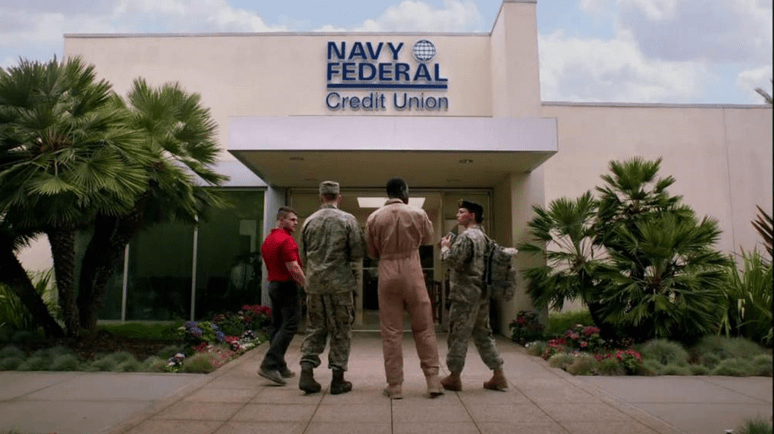 Navy Federal Credit Union is set up exclusively for Naval forces, Marine Corps, Army, Coastal Guards and DoDs. I have created my own online account to complete my tasks wherever i go. Free education seminars from Navy Federal Credit Union helped me in understanding the topic like house buying, retirement savings, business services etc.,. If you are in the above category, then i suggest you to avail the benefits of Navy Federal Credit Union right away. Have feedback for Navy Federal?